Well, we blinked and then it was suddenly April. And in the same way we see the cherry trees, spring bulbs and flowers blooming and growing, so are the Kindergarten children. We took a good look at our children sitting on the alphabet carpet and noticed they were taking up a lot of space in each square! There are long legs, big eyes and huge smiles everywhere! But we’re not letting ourselves get too far ahead to start talking about next year. 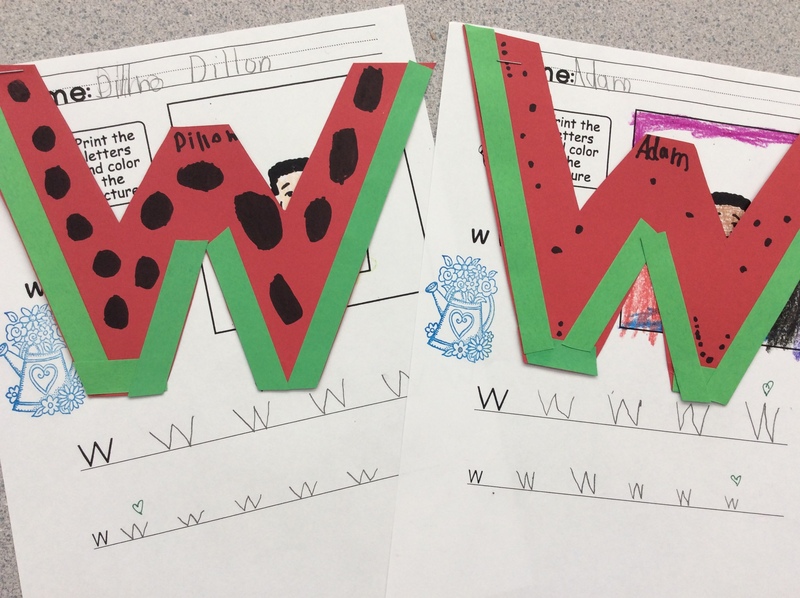 We have been working very hard to settle back into class and we have many special activities ahead. The beginning of a new term is always a good time to review our classroom rules, routines and expectations. Our children have come to understand that rules and routines keep the classroom predictable so they can feel safe, and so they know what is expected not only of themselves, but their classmates. As the children this year are only five years old, turning six, there are going to be many instances where they forget the rule, cannot remember the routine or perhaps didn’t realize that touching others without asking is unexpected behaviour. As Kindergarten teachers we always take the time to review expected vs. unexpected behaviour and the classroom rules and routines (what is your job?). 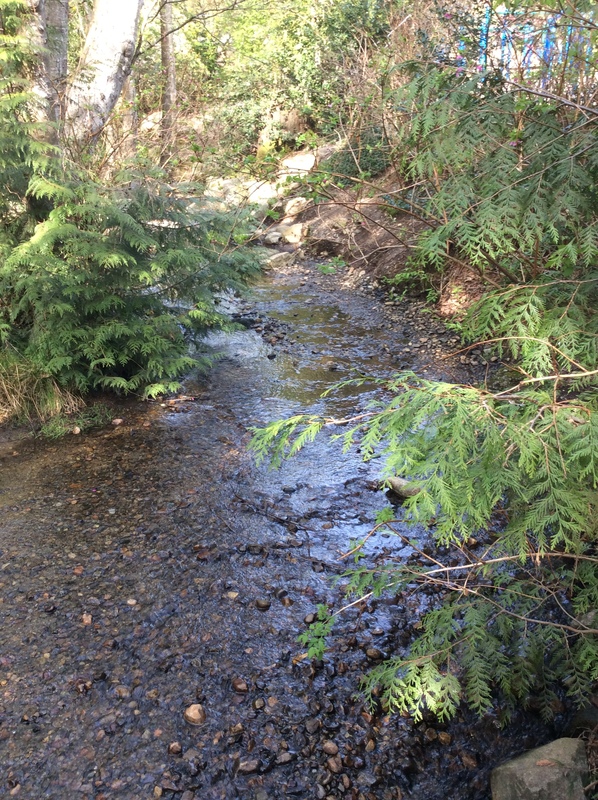 Sometimes, we have to ask students to take a break (time to breathe, time to get a drink of water, time to sit away from others) so we can go over with them what happened in the course of their decision-making process. We’re pleased to note that an overwhelming desire to please their teachers means that most of the time everyone listens carefully, shares and cooperate and tries to be mindful of the feelings of others. Growing up is a work in progress (Christy and I have young adults entering their 20s, and we keep reminding ourselves daily that brain development continues until their early 30s, so it looks like we’re all in this for the long-haul). We couldn’t be happier with the beautiful development and maturity of our Kinder cuties! 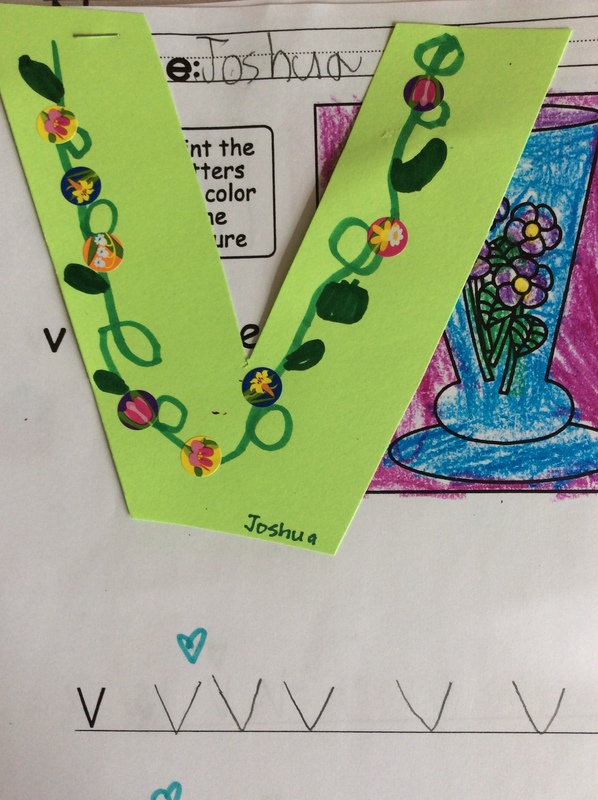 We are in the countdown now as we completed V is a vine this week! 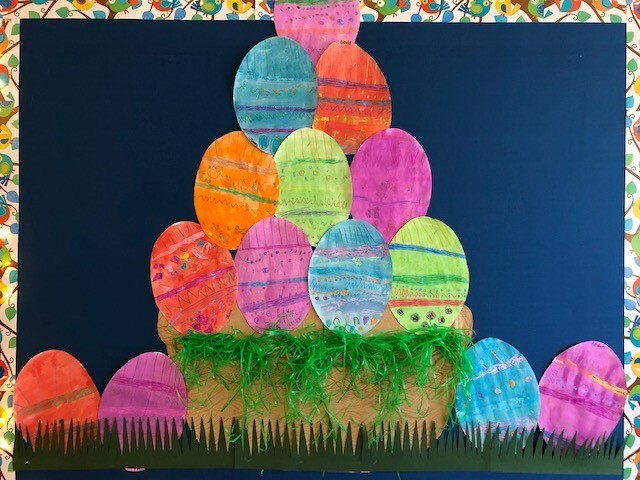 This is such a simple, but pretty craft, and the children will bring theirs home in the next few days. Our alphabet wall is almost complete! 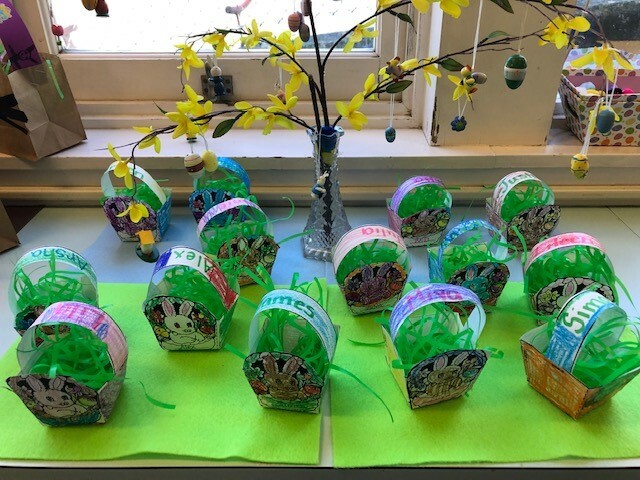 We heard that Easter is just around the corner, so that means creating Easter egg themed April Self-Portraits and making sparkle eggs to decorate the classroom. 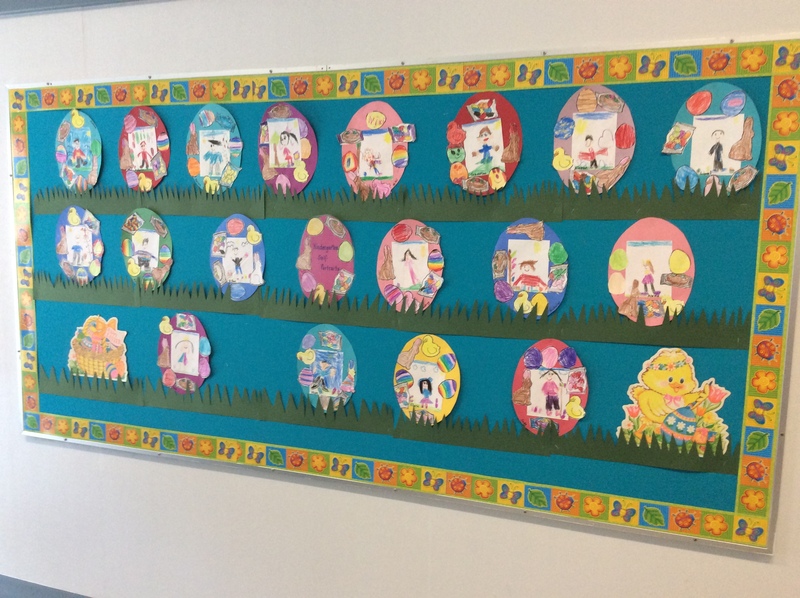 Our little bunnies did a really amazing job – there was a lot of colouring, cutting and arranging in those self-portraits! Friday was our last day to complete our Penguin Digital Literacy projects with our Big Buddies. You are going to have a wonderful treat when you see these amazing digital books we made on the app “Book Creator.” The children have completed some very fine research, gathered pictures from the internet and completed their voiceovers. 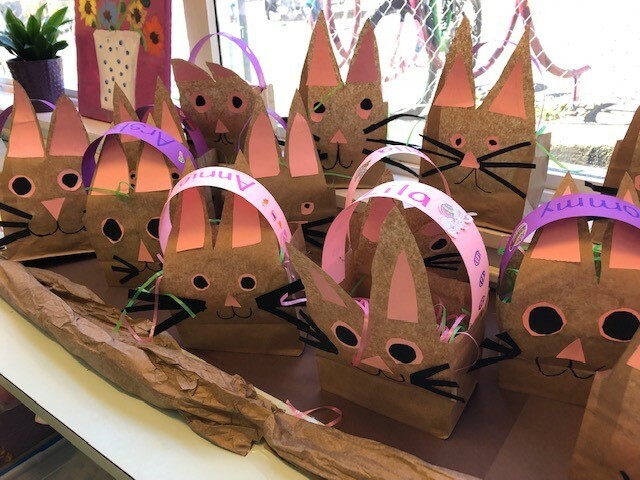 We have a couple of technical things to do next and then you will see them at our Science Centre during Student-Led Conferences (SLC) on Wednesday, April 24. We will send out more information about what to expect for your child’s SLC in a couple of weeks. 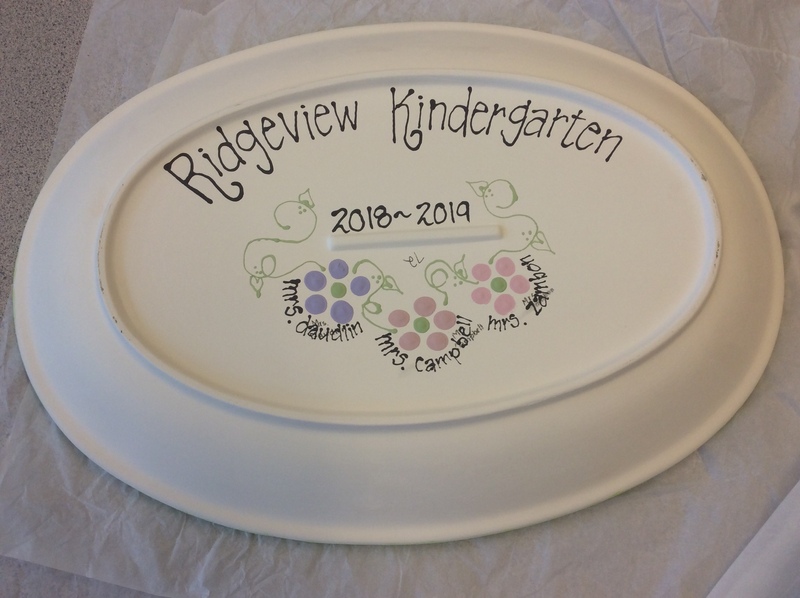 This week’s big project was painting the beautiful platters for the Ridgeview RPAC Family FUNdraiser Auction on Friday, April 26. You will have a chance to bid and win one if you come to the FUNdraiser!! You must buy tickets to attend this event. 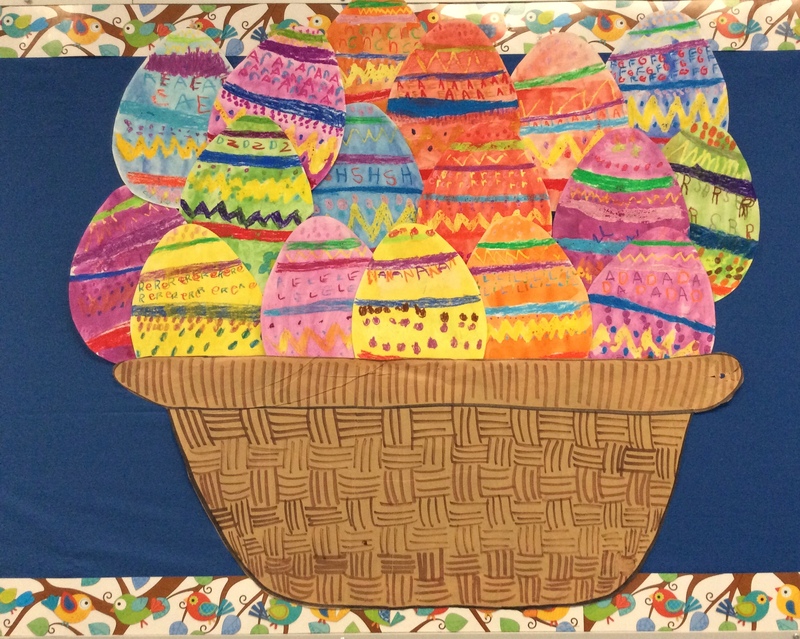 Please see Thursday’s Ridgeview e-bulletin which provides you with more information. During Spring Break at Bella Ceramica in West Vancouver, Christy and I prepared these platters by first marking out with an “x” in pencil where the centre of each flower would go; these are each covered with 3 coats of paint which we made with the eraser end of a pencil. 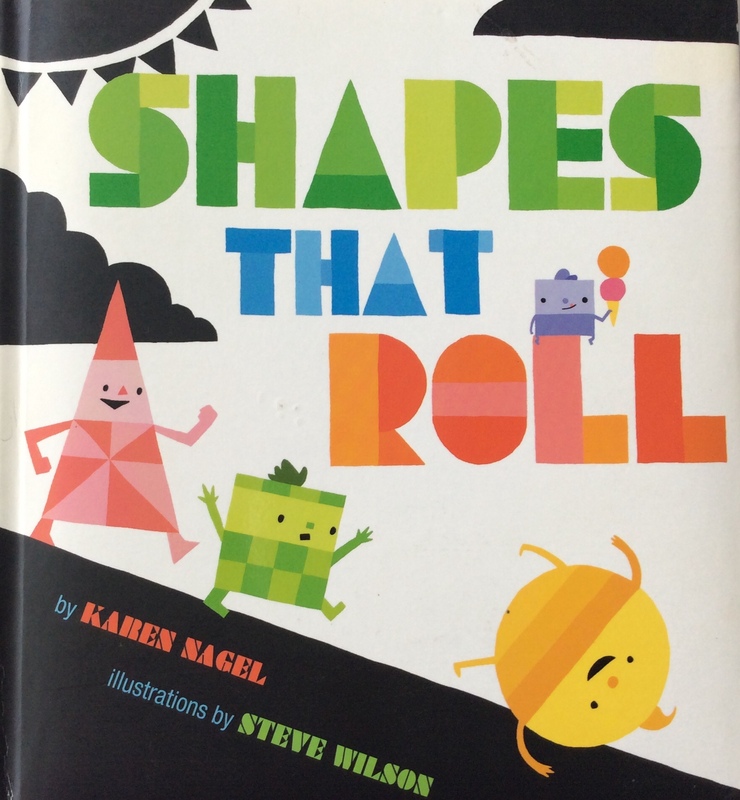 Back at school, the children fingerpainted five petals for their flower, twice, for each platter. We wrote their names in pencil. 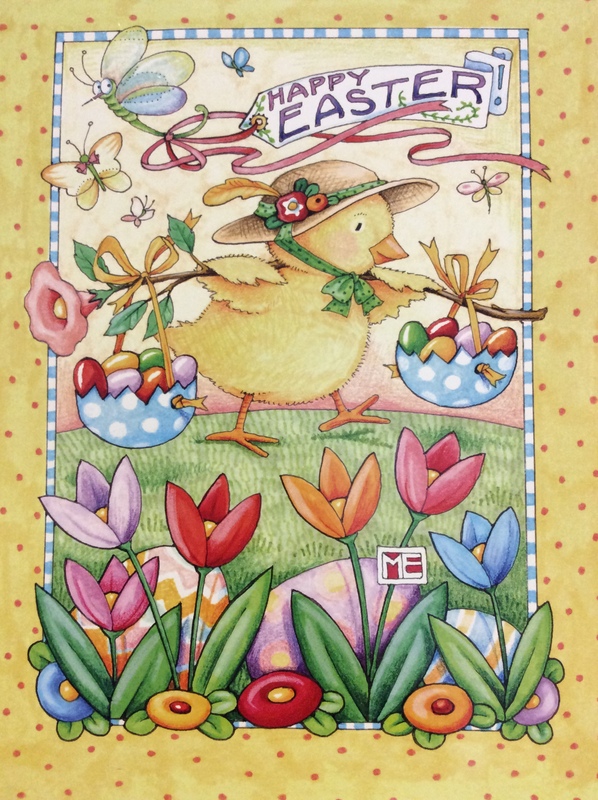 We are so fortunate that Ms. Wilson, our Big Buddy Grade 7 teacher, is also an amazing artist. She did the calligraphy for each of the children’s names, the vines “to connect all of you together” and the leaves. 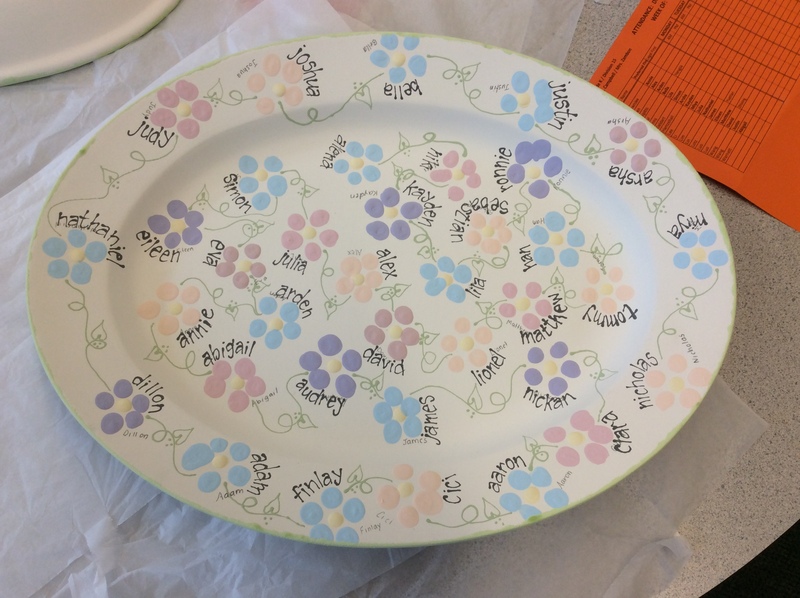 These photos show the platters just before firing. Special thanks to Abigail and Finlay’s moms in their role as Room Parents for their financial organisation of this project. We just got to have fun and paint! Our classes have been invited to see “Clean-Up Your Act” by DreamRider Productions on Monday morning. We will be learning how litter, graffiti and vandalism affect our communities and what we can do to help protect our public spaces. Please return your Library Books on Monday as we have Library in the afternoon. Division 15 (Mrs. Campbell) has PE on Tuesdays and Thursdays, and Division 16 (Mrs. Daudlin) has PE on Tuesdays and Fridays. Please remember to have runners at school on those days.